Axitour Communication Solutions, supplier of several audio communication systems and solutions, is now partner of Tournaments Abroad. 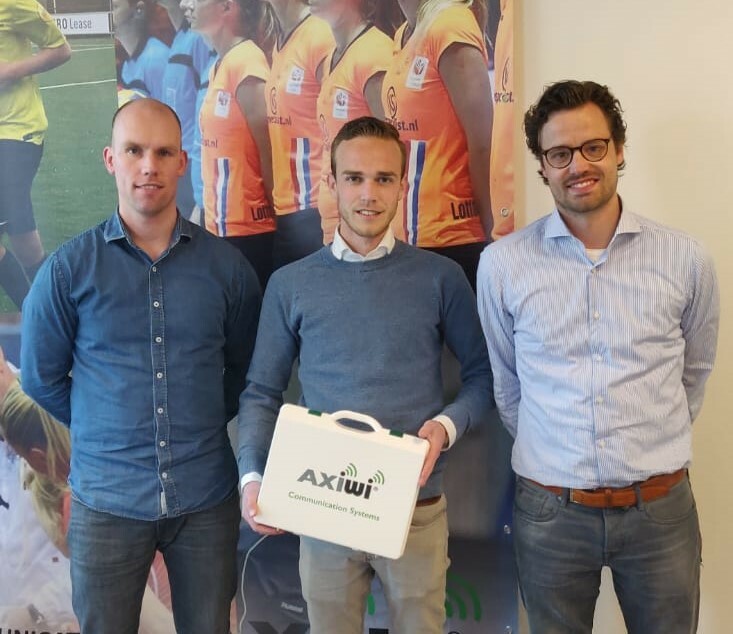 Axitour will provide their newest AT-350 AXIWI communication system, for the referees and observers, during several upcoming soccer tournaments. Tournaments Abroad is a non-profit organization that aims to unite referees with international tournaments with the objective of expanding their refereeing experience and meeting new cultures both on and off the pitch. Referees in their own right are unique and extraordinary, usually inspired by an internal and natural desire to follow such a passion. Pursuing refereeing abroad with colleagues from across the globe is, in our opinion, the zenith of such a passion. Axitour will facilitate Tournaments Abroad with the AXIWI Referee Academy. With the referee academy, AXIWI let get referees acquainted with working with a wireless communication system in order to use it optimally and effectively in collaboration with soccer referee colleagues. 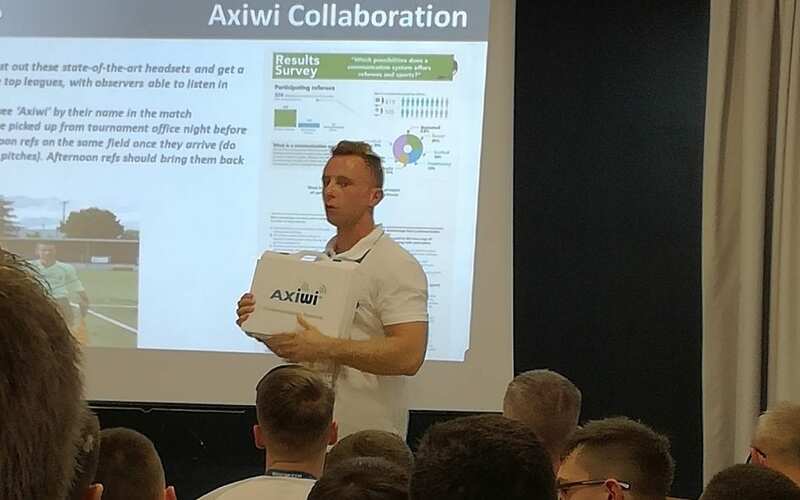 The acquired knowledge and experience they gain during the AXIWI Referee Academy, they take to their sports club and competitions. And that is our goal with the AXIWI Referee Academy: allowing referees to test and work with our communication systems so they become ‘best performing’ referees and umpires. For direct mutual communication during the matches the soccer referees work with the AXIWI communication system. Working with a communication system requires a different way of cooperation between the referees. After all, they are directly and wirelessly in contact with each other and have to have less of body language and possibly shout at each other. 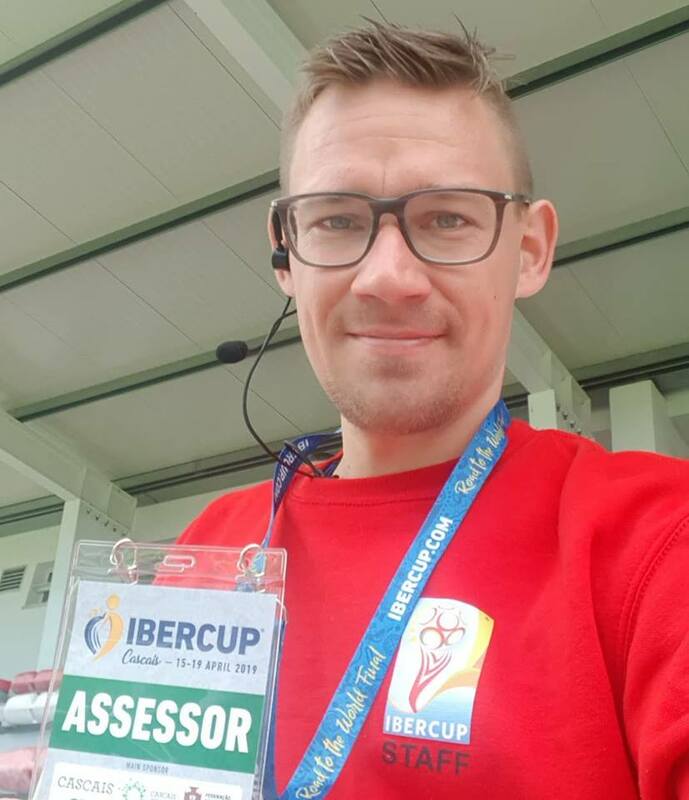 The referee coaches have the possibility to coach the referees directly and wirelessly from the side-lines, by connecting their AXIWI to the ‘referee’ group. The referee coach can provide the referee directly from the side-lines with instructions and feedback or just listen and analyse the way of ‘communication’. Because the referee coach can coach ‘in’ the moment, the learning curve for the referees in the field is faster; they can immediately (real time) work with the feedback and apply it in the game. At an increasing number of sports today it is normal to have at least 2 or more referees during a match, even if the matches are non-professional. To make communication between referees more effective we are introducing the wireless and hands free AXIWI referee communication system. Up to six referees can communicate simultaneously by the open line with each other, just like a telephone conversation. The AXIWI communication system is used by the (top) referees and sports federations from all over the world in several sports. In the meantime the communication system is successfully used in soccer, field hockey, rugby, handball, korfball, hockey, cricket and many other sports and applications. AXIWI offers many possibilities and applications for referees, coaches and sports officials. Check for all the possibilities and applications the website of AXIWI. Go directly to the referee webpage: or check the most popular applications in sports. Follow AXIWI on Instagram to stay up to date with daily stories and pictures.